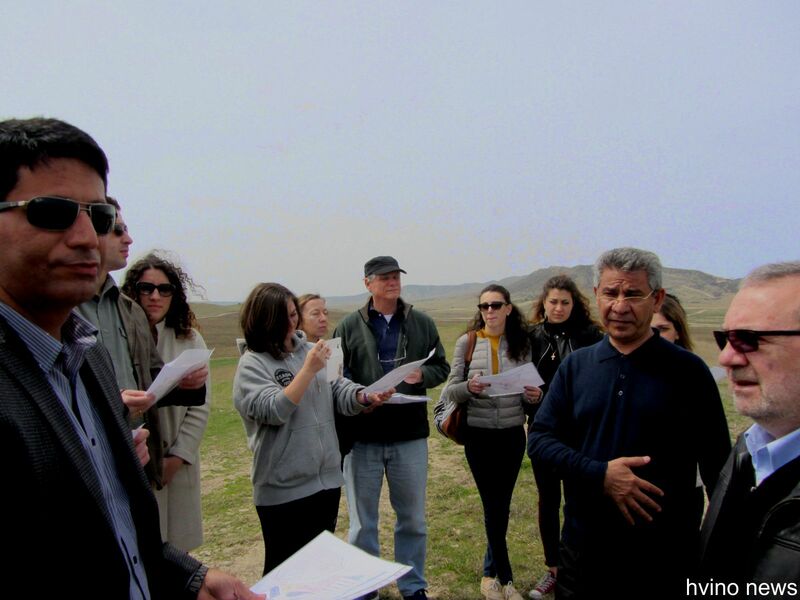 On April 9th the International Chamber of Commerce of Georgia (ICC) organized a tour for its members to Vinichio Valley Vineyard in Kakheti (East Georgia). 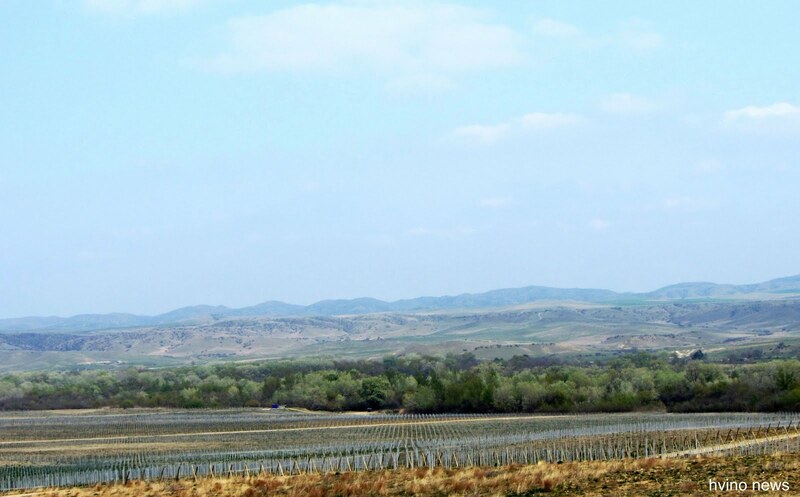 Vinichio Valley is a large agricultural project by Tbilisi-based ARIC Group, which will focus on wine and food production on a 2000-hectares land plot stretching along the river Iori in Sagaredjo region of Kakheti. Local Georgian vine varieties saperavi, rkatsiteli, alexandreuli have already been partially planted on 400 hectares of land allocated for vineyards, making Vinichio one of Europe’s largest projects of this type. 2017 will see the first Vinichio’s harvest. ARIC’s heads Dr. Afzal Ravari and Mohammad Javad Arabnejad have warmly greeted the ICC delegation and introduced the Vinichio Valley project. As Mohammad Javad Arabnejad, ARIC’s CEO, explained to Hvino News, in addition to chemicals-free organic food production on place, the company is developing several interesting directions like facilities for polo, golf, safari, horse riding, boating, and fishing. According to the company’s management, Vinichio will be equipped with some of the world’s most advanced technologies and plans to become one of leading Georgia’s companies in the sectors of winemaking, fruit/nuts processing, as well as tourism with its own restaurants, accommodations and tourist attractions.